Top EPA adviser attacks agency decision-making ahead of major review of air pollution standards. A quarter of a century of research has shown that breathing in fine airborne particles emitted by cars, power plants and other sources shortens people’s lifespans. But that scientific consensus is now under attack from a top adviser to the US Environmental Protection Agency (EPA), just as the agency is rushing to revise the national air-quality standard for such pollution before the end of President Donald Trump’s first term. Scientists fear that the result could be weaker rules on air pollution that are bad for public health — and based on politics, not science. The national air quality standards are designed to limit the amount of six widespread pollutants — including airborne particles and ozone — that are present in the air that people breathe. State and local governments must develop plans to curb pollution in areas that do not meet the standards. The EPA must review the science, and if necessary, revise the standard for each pollutant every five years, though in practice the process often takes longer. The current review started in 2015, and various delays pushed the deadline back to 2022. But former EPA administrator Scott Pruitt announced early last year that the agency would push to complete its review and revision by December 2020. In order to meet that deadline, the EPA will have to curtail their normal review and revision process. In October 2018, the agency also dismantled a scientific advisory panel that works in parallel with the agency’s Clean Air Scientific Advisory Committee (CASAC), which advises officials on air-quality standards. The latest development came on 28 March, when CASAC met to discuss a draft letter they had released several weeks earlier, which blasted agency scientists for relying on “subjective judgments” and “unverifiable opinions” in their evaluation of particulate pollution research. The head of CASAC, Tony Cox, is a statistician who has long questioned the evidence linking fine particulate pollution to premature deaths, and the draft letter reflects this scepticism. The draft letter called on the EPA to do another research assessment looking at the uncertainties and inconsistencies in the scientific literature on air pollution. It said that the agency should include all relevant studies, including some authored by Cox, some of which were funded by industry groups. The full committee removed much of the most controversial language during their 28 March meeting. But CASAC members remained divided on the link between fine particle pollution and premature death. The final text of the letter will reflect that division. Nevertheless, the debate between CASAC members over the link between particulate pollution and public health has alarmed agency scientists, academics and environmental groups. “They are just completely dismissing the science,” says Gretchen Goldman, an environmental engineer in Washington DC who tracks the issue for the Union of Concerned Scientists. She co-wrote a guest editorial1 published on 21 March in Science urging the EPA not to abandon the scientific evidence on air pollution. “Without independent science, we risk having public-health decisions made for political reasons,” she says. The benefits of preventing premature deaths from particulate pollution are also baked into other air pollution regulations, such as those targeting mercury and greenhouse gases. So downplaying the public-health impacts of particle pollution could help the Trump administration to roll back an array of environmental regulations, says Goldman. Cox defended his views in an email to Nature. The EPA process for reviewing air-quality standards is focused on “eliciting, synthesizing, and documenting the opinions and judgments” of the agency’s own scientists, which are often based on “ambiguous statistical associations that depended on unverified models and assumptions”, he said. His own research has raised questions about the link between reducing fine-particle pollution and saving lives. But there is mounting evidence, compiled by a wide range of scientists from around the world, that links pollution to higher death rates. In a 2017 study2 of almost 61 million people, for instance, researchers at Harvard University in Cambridge, Massachusetts, used satellite data and computer models to map out daily pollution levels on a 1-kilometre grid across the United States for 12 years. 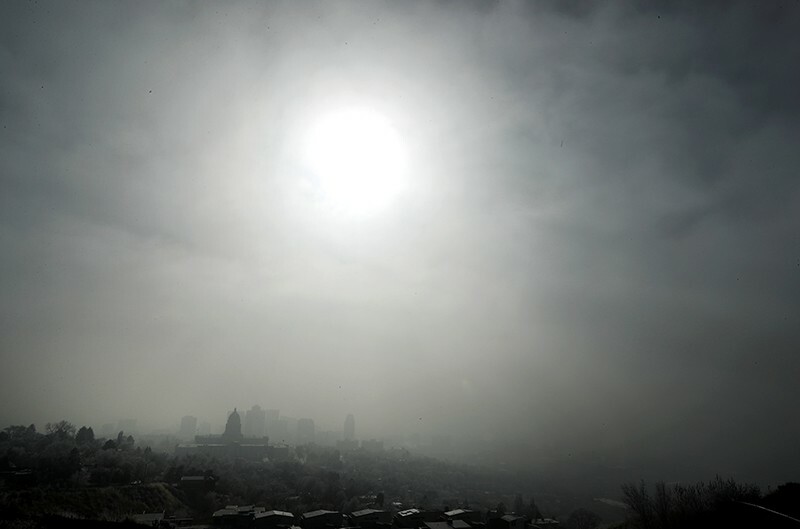 After controlling for factors including education and income, the scientists found that death rates increased in regions with more fine-particulate pollution and higher levels of ozone, a major component of smog — even if those areas met air-quality standards. If anything, those results suggest that the national standard should be stricter than it is now, says Francesca Dominici, a biostatistician at Harvard University and a co-author of the 2017 study, as well as the Science editorial. But she stresses that her study is just one among many that have documented the public-health impacts from particulate pollution. “It’s about the whole body of evidence,” Dominici says. Cory Zigler, a biostatistician at the University of Texas, Austin, says that Cox has effectively declared his own statistical methods king, writing off a variety of studies and methods demonstrating the link between air pollution and public health. Cox says he is well aware of such criticisms and that he is only following the science where it leads, regardless of political consequences. “My sole motivation and commitment is to uphold and apply good science,” he told Nature. The EPA’s recently confirmed administrator, Andrew Wheeler, is continuing the push to review and revise the particulate pollution standard by late 2020. But meeting the abbreviated deadline will be nearly impossible without damaging the integrity of the scientific review process, particularly in light of the delays caused by the government shutdown that ended in January, says an EPA official who is familiar with the process and who requested anonymity because they aren't authorized to talk to the press. Wheeler has also drawn criticism for disbanding the scientific review panel last October, which normally works in parallel with CASAC. The current CASAC members — all of whom were appointed after Trump took office — lack the scientific expertise in epidemiology and other fields to properly evaluate the EPA’s work on air-quality standards, says Christopher Frey, an environmental engineer at North Carolina State University in Raleigh. Frey formerly chaired CASAC and was on the scientific review panel that Wheeler dissolved in October 2018. Cox and other CASAC members have publicly acknowledged this criticism and say that they need access to additional experts. During the 28 March meeting, the committee revised its draft letter to include a request for the EPA to either reinstate the previous review panel or create a new one. Frey adds that the normal process for assessing the science has been repeatedly reviewed and approved by CASAC, and that every prior assessment has confirmed the link between particulate pollution and death rates. "That finding is one of the most robust scientific findings in air-pollution health," Frey says. There is some difference of opinion within CASAC. Although the recent draft letter is highly critical of the EPA, individual comments submitted by some panel members, and included with the draft letter, were more supportive of the agency’s science assessment on particulate pollution. And three of the seven members called for the disbanded review panel to be reinstated. What happens next is unclear. Normally, the EPA would revise its evaluation of the scientific research on the pollutant in question after input from CASAC and the larger scientific advisory panel. Then it would conduct an assessment focused on health risks and exposure trends. If the EPA found that an update to the standard was justified, it would then formally proposes a change. But many scientists and environmentalists expect the EPA will try to consolidate these steps in order to finalize a new standard next year. Update 28 March 2019: This story has been updated to reflect several decisions that CASAC made with respect to its draft letter to the EPA during a 28 March meeting. Goldman, G. T. & Dominici, F. Science 363, 1398–1400 (2019). Di, Y. et al. N. Engl. J. Med. 376, 2513–2522 (2017).